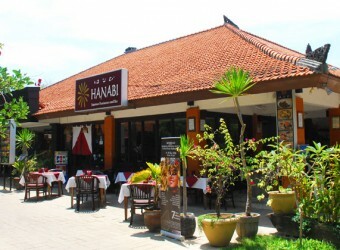 Restaurant Hanabi Japanese restaurant located in Bali Collection in Nusa Dua. You can taste authentic Japanese food such as suhi, sashimi, Udon and and various kind bowl meal. There is antique interior and woody taste space gives you relax and fun dining time. If you get board Indonesian meal you should stop by this restaurant.